Video allows healthcare organisations to reach more people with their messages, both internally and among the wider public. 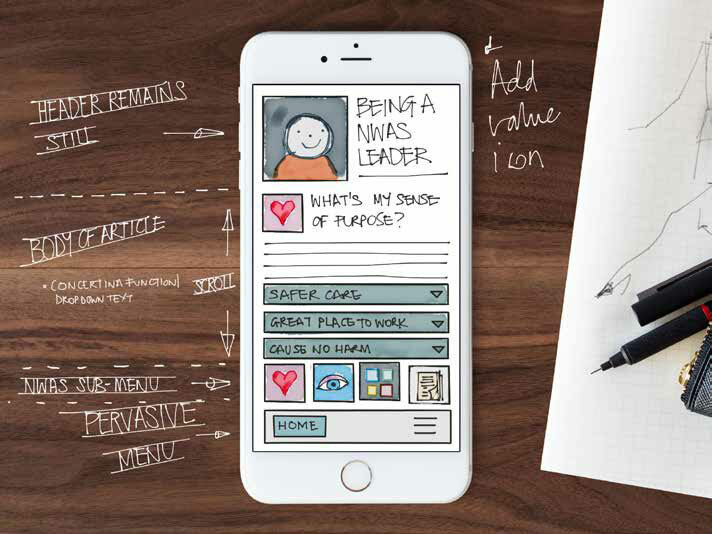 Video is ideal for highlighting innovative products, services and ways of working. Above all video brings to life the human stories behind the statistics and reminds people that the NHS is first and foremost an organisation driven by dedicated and compassionate staff. Whether you are looking to explain new procedures, demonstrate best practise, introduce new policies or provide valuable updates, video is a cost effective way to ensure information is delivered consistently and clearly across your healthcare organisation. Here are a few examples showing how our healthcare videos have helped improve the experiences of staff and patients alike. The ‘Leading with Compassion’ scheme aims to recognise and celebrate some of the thousands of acts of compassion taking place every day in the NHS. We produced an animation to launch the campaign, which was subsequently adopted by 11 NHS organisations and resulted in 1500 nominations. We returned to the scheme 12 months later to produce an eLearning package exploring the lessons learnt. This content will be used by other organisations to develop their own compassion recognition schemes. Across the NHS different organisations are constantly finding new, innovative ways of working to both save money and improve the patient experience. 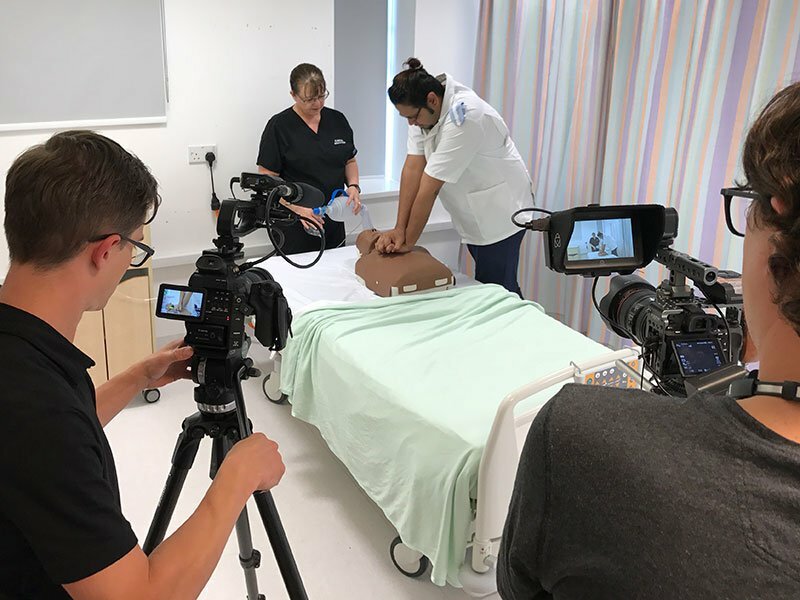 In a series of seven videos for NHS Health Education England in the North West we profiled some of the transformational roles that could potentially be adopted on a much wider scale. In a series of 20 interviews conducted across four different partnership trusts we asked why staff had signed up to a new Trainee Nursing Associate role – many of the candidates spoke of being motivated by their own personal experiences of the NHS. With all the focus on targets and financial pressures it’s easy to lose sight of the personal experiences of service users. In this video for NHS Wrightington, Wigan and Leigh we followed a patient with multiple service needs as they travel between appointments. The video was part of the ‘On the Bus’ campaign to raise awareness of a public consultation about the future of healthcare in the region. The £28 million Manchester Biomedical Research Centre launched in April 2017. We were asked by NHS Central Manchester Foundation Trust to produce a series of interviews with the theme leads. This covered both clinical themes and cross-cutting themes such as biomarkers and informatics. The videos were aimed to promote the cutting edge research being done in the city and explain why this will ultimately benefit the local population. Leaders in the NHS are having to navigate a period of unprecedented change as they are asked to modernise services and introduce efficiencies under intense scrutiny. The impact of these changes can be complex and difficult to communicate internally. This is the first in a series of animations for the NHS North West Leadership Academy to help leaders understand what is being asked of them in an evolving landscape. In this animation for the North West Ambulance Service we introduced a new leadership model, developed by independent organisational development experts Delve OD, to help leaders think and act more effectively. We were subsequently commissioned to develop a mobile app that provided the key points of the model at a glance and allowed users to map their own leadership development journey. Our experience in the healthcare sector sets us apart from other video production agencies in the region. We are familiar with the structures and internal working processes of the NHS as well as its brand values and public perception. We’ve continually delivered projects to the NHS on time and within budget, often surpassing expectations. We manage the whole end to end production process – from arranging pre-production workshops with your staff through filming and editing to delivery of the final videos. Get in touch today for a free consultation – we’re happy to work with you to help understand the brief and what you need to achieve from using video before providing a detailed proposal and quote.